Having the best sleep brings out the best in us regardless of the different hats we fulfill everyday. Getting that sound and comfortable sleep is therefore essential. Here, we bring you the most brilliant and cheapest deals on sleep items as shared by our community of deal hunters. Shop for sleep masks, bags, duvet, pillows, mattresses, and get them at their discounted price by using voucher codes from Boots, Wilko, Debenhams, Home Bargains, Ideal World, and John Lewis. Get peace of mind on your savings, too, when you look for special offers such as free delivery. Enjoy 20% off Our Sleep Masks & Travel Pillows. Eyeko Sleep Mask plus a Mini of Your Choice When You Spend £25 or More. People spend a huge portion of their lives recharging. Humans need rest and what’s a better way to fuel up on energy than sleeping? It is important to get enough sleep to function properly during the day. According to research, Brits are under-sleeping by over an hour. Our body needs 8 hours of sleep, and the UK is only getting an average of 6.8. We should compensate on those lacking hours by making sure we are snuggled in optimum comfort every time we doze off. Here at Latest Deals, our group of bargain hunters always verify and share deals on sleeping essentials that you won’t want to miss. Get deep discounts and other freebies with the help of saving tips and tricks shared by our money-saving experts.. Take advantage of coupon codes, discount codes, and voucher codes on your nightwear, pillows, beddings, skincare products, and other sleeping essentials from trusted UK retailers such as Studio, Primark, Wayfair, Fragrance Direct, and Soak & Sleep. Achieve comfortable deep sleep every night without having to disturb your budget with the offers you can find here at Latest Deals. Pillows are one of the key factors that affect the quality of our sleep. Sleeping in the wrong pillow can cause people to suffer from neck pains or back aches, and we don’t want that. So here is a list of affordable pillows that can bring about extreme comfort to give you the good night sleep you deserve. Snuggledown Side Sleeper Pillow, Snuggledown. This medium support pillow is highly recommended for side sleepers. Snuggledown has years of experience and expertise in developing the perfect pillow. With the help of British research and their latest technology, they have come up with a full non-allergenic pillow that provides ultimate support right to the edge. Inflatable Camping Travel Soft Blow-Up Pillow, Trixes. If you are that someone who is always on the go and who often steals quick naps, then you should secure yourself a reliable support pillow. The Inflatable Camping Travel Soft Blow-Up Pillow is waterproof, durable, comfortable, and easy to operate –thus, making it the ideal pillow to bring for travelling and camping. Rearand Neck and Shoulder Relaxation Pillow, Rearand. A natural solution for pain relief. This can relieve tension on both the neck and shoulder in just 5 to 15 minutes. Ideal for attaining deep relaxation during office breaks. Slumberdown Anti-Snore Pillow, Slumberdown. 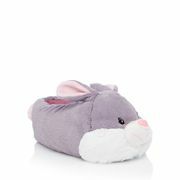 This pillow provides great support to both the head and neck, and encourages better breathing. A solution to those who want to improve their sleep and reduce symptoms of snoring. Silentnight Deep Sleep Pillow, Silentnight. The answer to your sleeping problems. This soft yet durable pillow is filled up with a generous amount of hollowfibre. It also provides just the right amount of support for those who sleep on their side or back. 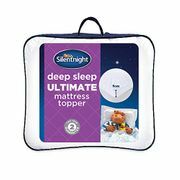 The Silentnight Deep Sleep Pillow is truly a UK gem for achieving comfortable deep sleep. It’s true – you can definitely spoil yourself on bedding sets without having to break your wallet. Check out these comfy bedding sets that can help you get the best sleep you ever had. Bluezoo - Blue Sharks Bedding Set, Debenhams. Add a splash of fun to the bedroom with this cotton bedding featuring a shark print on one side and wave prints on the other. This set is reversible -just like the freshest bedding sets in the market. This includes a duvet cover and a pillowcase. Dreamscene Unicorn Dream Duvet Cover with Pillowcase Pink Bedding Set, Amazon. You can now transform your kids bedroom or even your own bedroom in to a magical place you can enjoy sleeping even more. The set is decorated with enchanting prints -unicorns and clouds on one side and pink stars on the other. The duvet cover and pillow case are both reversible, meaning that in whichever side it's on, it can surely add an impact to the bedroom. ColourMatch Jet Black/Flint Grey Bedding Set – Double, Argos. Want to get the most value of your money? Refresh your bed with this reversible bedding set. Flint grey on one side, and jet black on the other. Both of the designs are such a delight to choose from. You can just stitch them up depending on your mood. This set includes two pillowcases and one duvet cover. Sleep while you are on the road. Who said you couldn’t? As long as you set yourself in a comfortable positioning with these travel essentials, you are sure to drift off to dreamland in no time. Get the most of your time by catching up on some rest while you travel. Check out these items that you might want to consider bringing on your next travel. We also give you tips on where to get the best finds. Eye mask. Find the best sleep mask at Amazon’s great selection of sleep masks at their Health & Personal Care Department. Earplugs. Get to find awesome deals on earplugs for sleeping at Ebay’s Sleeping Aids range. Portable Humidifier. Get great deals and low prices on top portable humidifier brands at Argos humidifier. Travel Pillow. Get to travel in comforts with Boots’ wide range of travel pillows –from memory foam pillows to inflatable travel pillows. Travel Blanket. If you are in search for the best company for car, plane, and bus travel, then you won’t go wrong with a warm travel blanket. Find various choices on travel blankets at Go Outdoors. Invest on sleeping essentials to get the quality sleep you truly deserve. Here are some of the best deals you can find online that can truly elevate your sleeping experience. Don’t worry –these deals are tailored to fit your budget. Studio. From bedroom items to bedding sets, Studio has a lot in store for your bedroom essentials. Be on the lookout for their amazing sales, where you can get up to a whopping 85% off on your bedding purchase. Primark pyjamas. Find luxury sleep wear from as low as £5 at Primark. Sleep comfortably with your favorite picks from the best chic pyjamas range. Style your own getup with their mix and match nightwear. Find sets from £4. Wayfair. 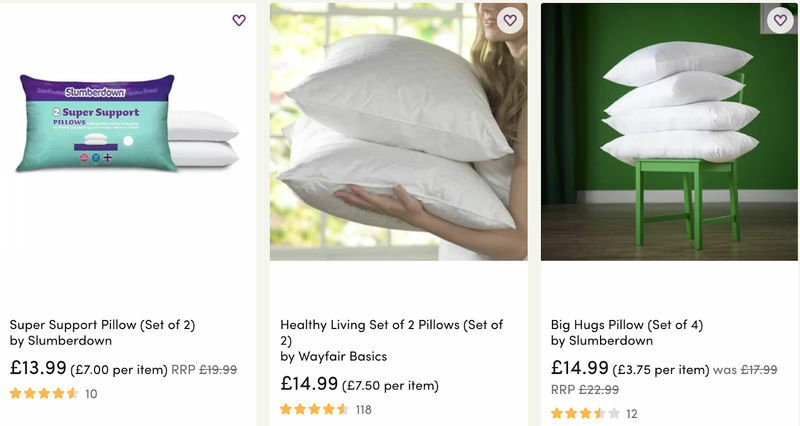 Shop for the best pillows and memory foam at Wayfair, and get your orders over £40 delivered free. Be on the lookout for their daily sales where you can get up to 70% discount on top styles and brands. At Wayfair, you can find quality bedding basics that won’t hurt your bank. Fragrance Direct. Do you have a skincare routine before you dose off into sleep at night? If so, you can get top quality skin care and facial products for men and women at Fragrance Direct. Get free gifts on select purchases from top brands such as Dermaloica and Decleor Paris, and even get up to 50% savings on Elemis products, Gatineau products, and more. Take advantage of free delivery. Soak & Sleep. Bring your sleep experience to an entirely new level with memory foam mattress toppers, wool pillows and more. Find affordable quality sleeping essentials at Soak & Sleep and stay updated with their daily sales and clearance offers to get extra savings on your purchases. Even enjoy free delivery on your orders over £50.